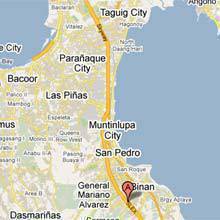 Traveling via the South Luzon Expressway in June? Better prepare to shell out more than your usual loose change as the toll road's operator is planning to raise toll by as much as 250% next month. The new toll fees will be collected starting June 16, ABS-CBNnews.com said, after the completion of the rehabilitation and widening of the toll road's Alabang-Calamba segment. When the adjusted fees take effect, SLEx management will start collecting P2.73 per kilometer from the current rate of 75 centavos per kilometer from motorists driving Class A vehicles. The Toll Regulatory Board (TRB) has approved the toll fee rate hike to allow South Luzon Tollway Corp. to recoup investments spent on improving SLEx. But before the SLTC can implement its new rates, it will have to complete the construction of toll booths and plaza on SLEx before the end of May. "If the completion is delayed, the increase in toll fees will also be delayed," TRB spokesperson Julius Corpuz said in the ABS-CBNnews.com report.